16 West Row is a former warehouse built in 1877/8 on a site which included former dwelling houses, a joiner’s shop and a number of workshops. The existing building consists of a basement, raised ground floor, first floor, second floor and attic. Originally R.Blakey & Son Stationers & Printers, 16 West Row was bought by the JD Thompson Ironmonger Ltd and during its time has been a Hosiery manufacturer, a builders’ merchants, Fire Station, suppliers to the plumbing trade, suppliers of coal and oil burning appliances, and recently serving as a fabric shop until 2003. The adjoining 18th/19th Century three storey building, has in its time been home to an 1800s brush factory. Part of this building is to be converted into studios dedicated to resident artists. There will also be a coffee area where resident artists can relax and share ideas. 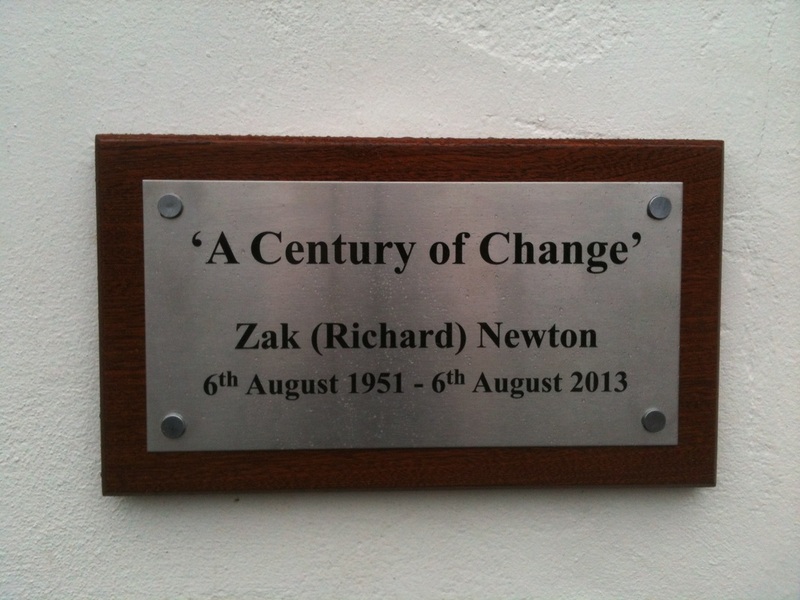 It celebrates ‘A Century of Change’ at the former site of Stockton Fire Station (1883 to 1965). Stockton Council’s Cabinet Member for Regeneration and Transport, Councillor Mike Smith, said: “We are working hard to improve the town centre and artworks like this will not only enhance the look and feel but will also help to attract even more visitors. 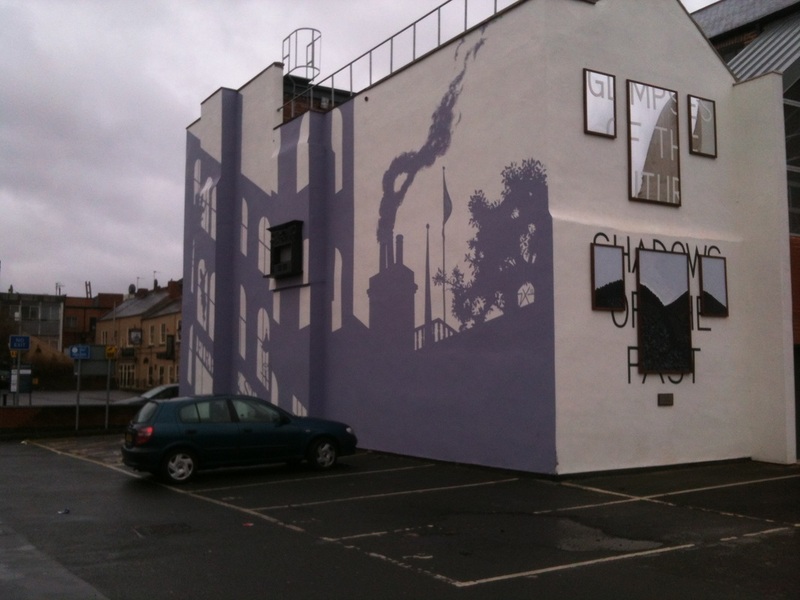 The mural has been specially designed by Stockton-based artist Zak Newton and is made up of three elements. occupies the west-facing gable end. 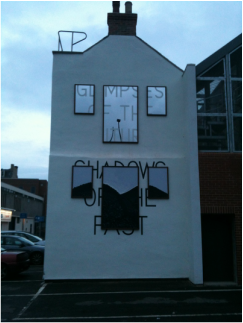 It comprises three mirrored panels and three painted panels replicating the warehouse architecture of the area. 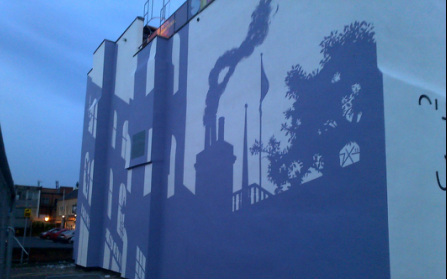 is the painted representation of the shadow of what was – the painting of the West Row facade and tower of the fire station. Based on photographic records it creates the impression that the façade is still there and casts a shadow from the morning sun in summer. It incorporates the ‘shades’ of imagined firemen, in commemoration of the site. of the work is the fireplace – once the heart of every home. It is installed at first-floor level and is a fabricated reconstruction of a form typical of the early 20th Century (neo-Georgian cast-iron). Visit Here for more images of " A Century of Change "